Christmas 2012 is here! 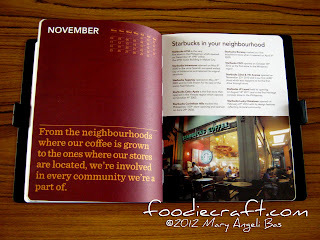 And for avid coffee shop visitors, it's that time again to collect stickers each time they order seasonal sips in their favorite coffee houses, to redeem that much desired planner. 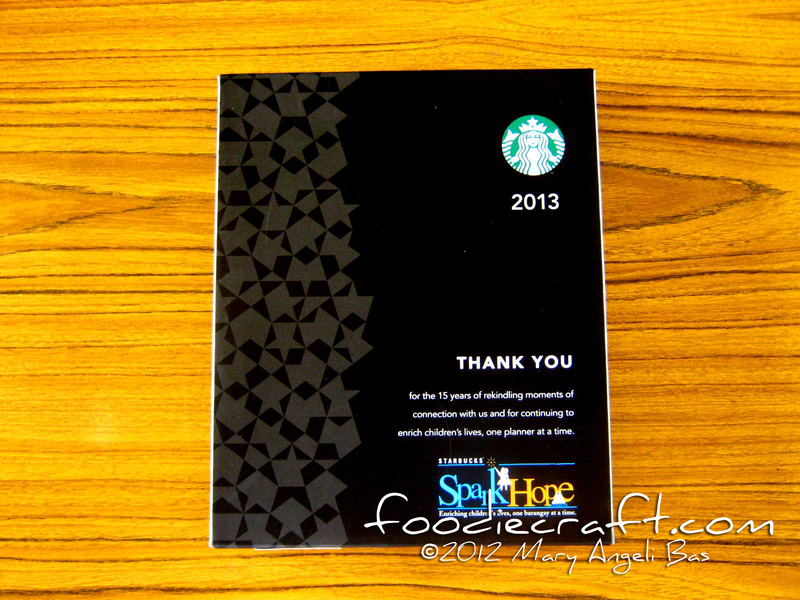 Monday of this week was the start of the sticker collection of all Starbucks branches in the country. 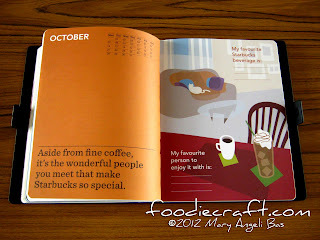 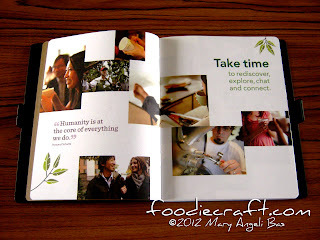 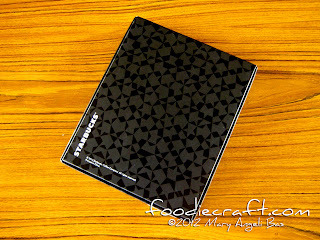 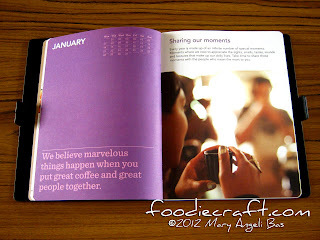 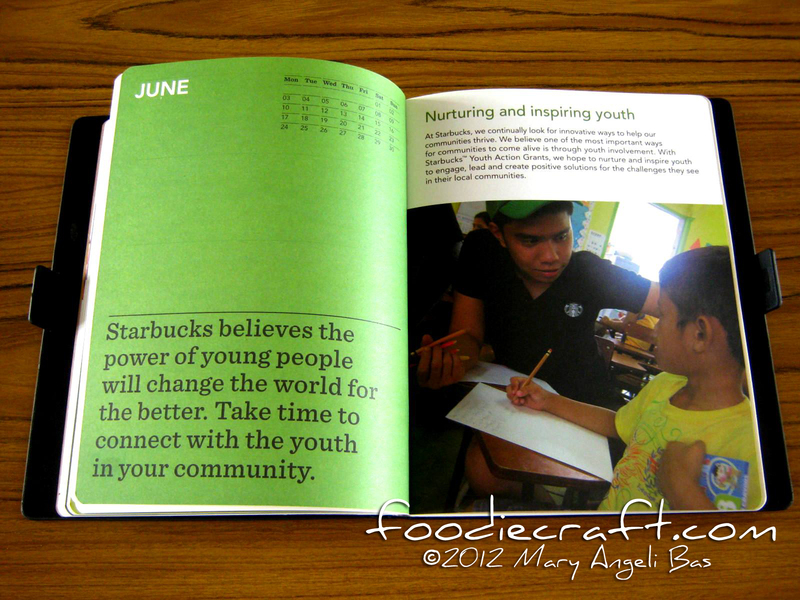 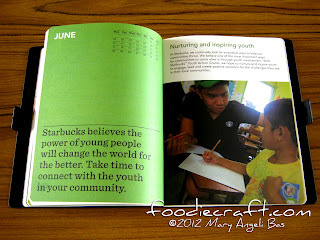 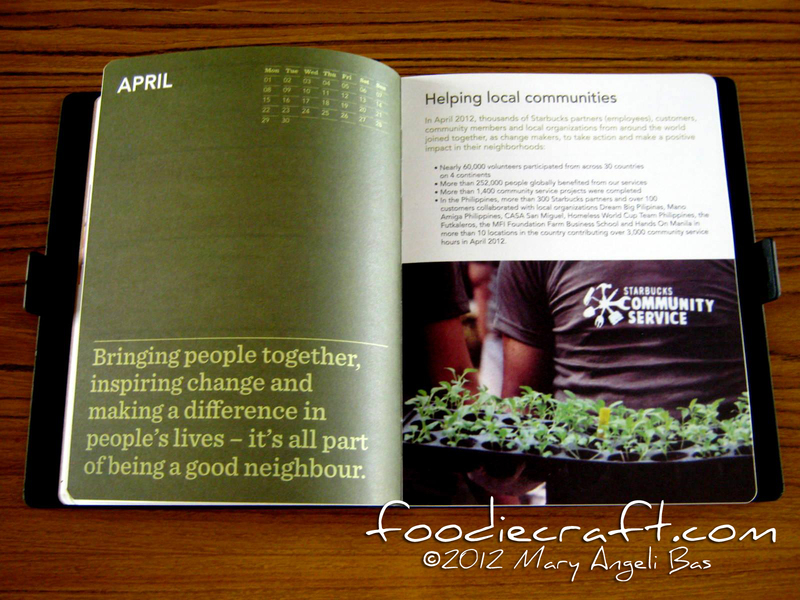 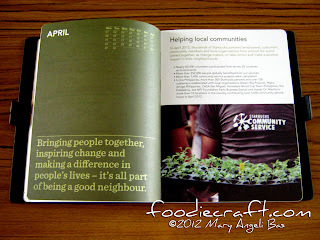 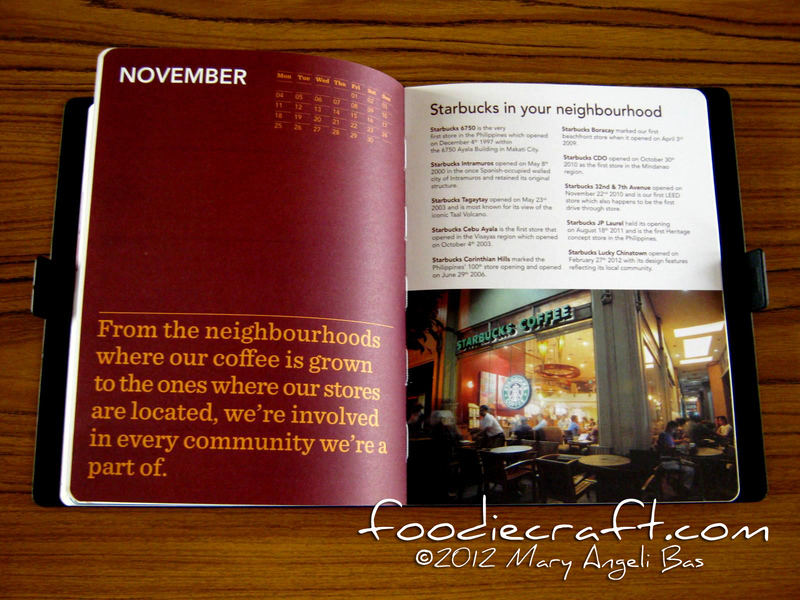 Two days after, I got hold of my very own Starbucks 2013 Planner as a gift from Starbucks Philippines. 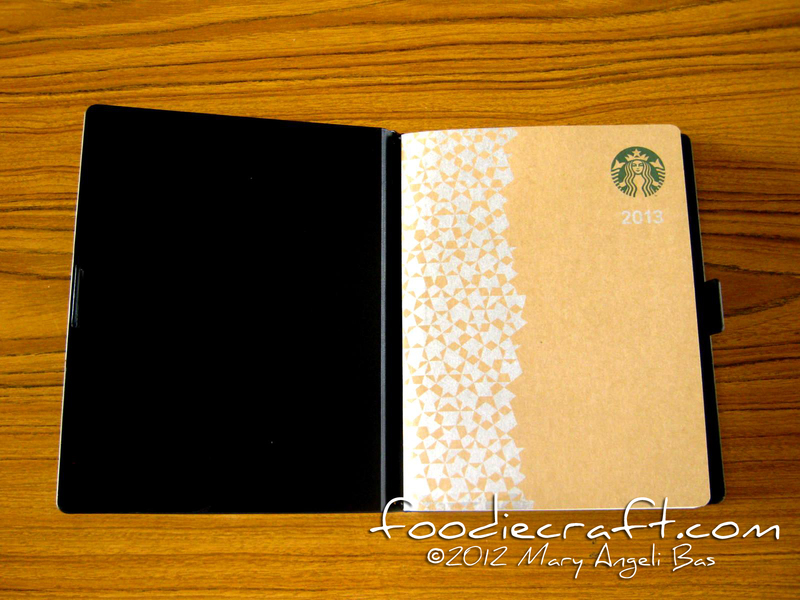 This year's planner comes in three colors: Black, White and Green. Of course, I chose my favorite color as the color of my planner. Black. 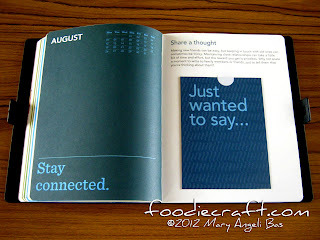 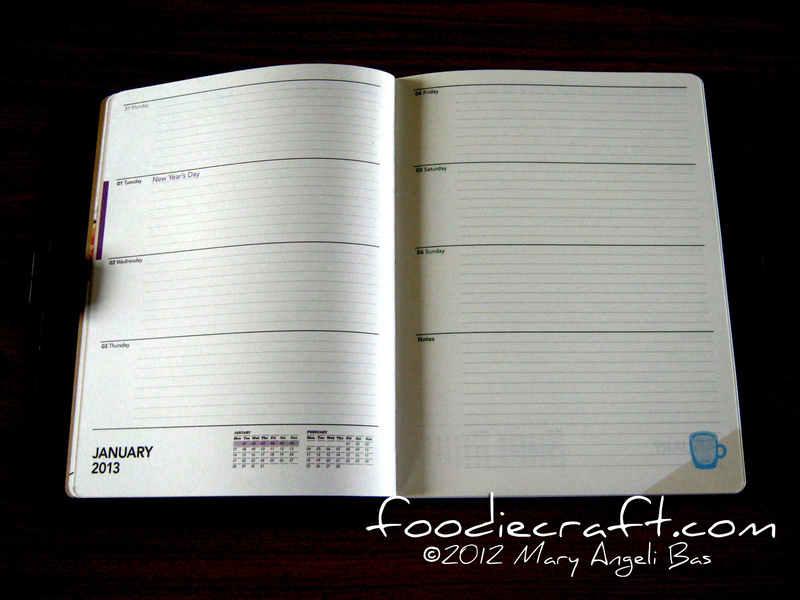 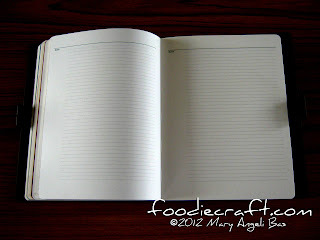 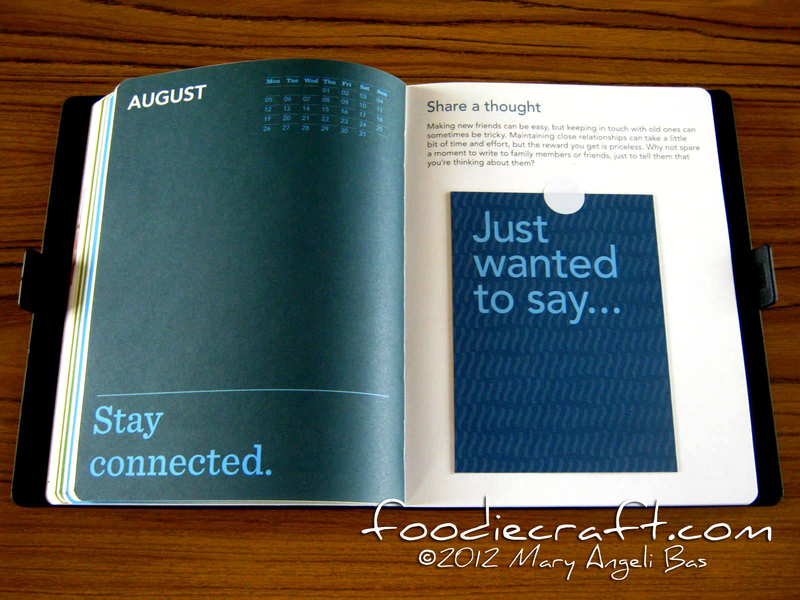 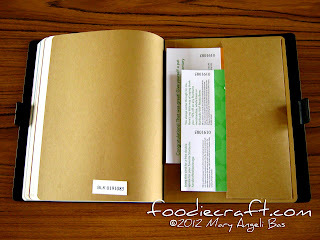 Traditionally, the planner is contained in a box with a print the same with the planner design. 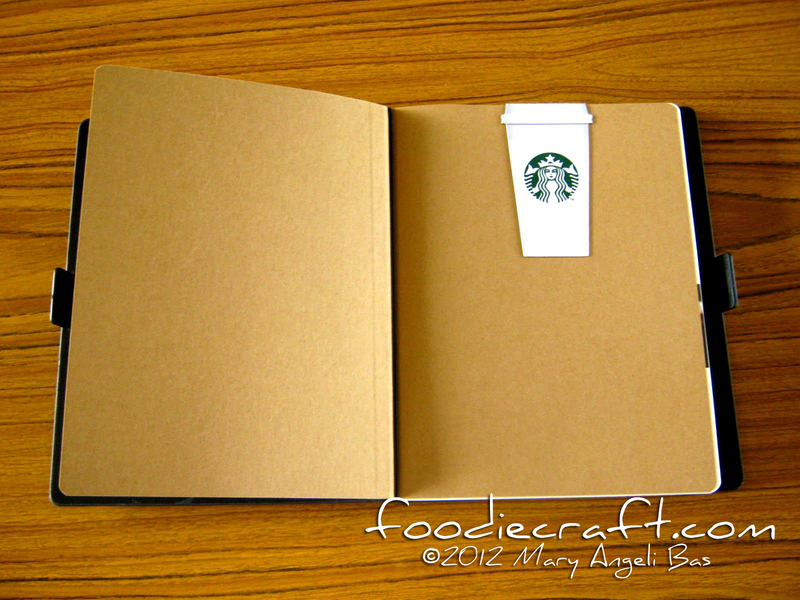 Like it has been, the cover is made out of fine material. 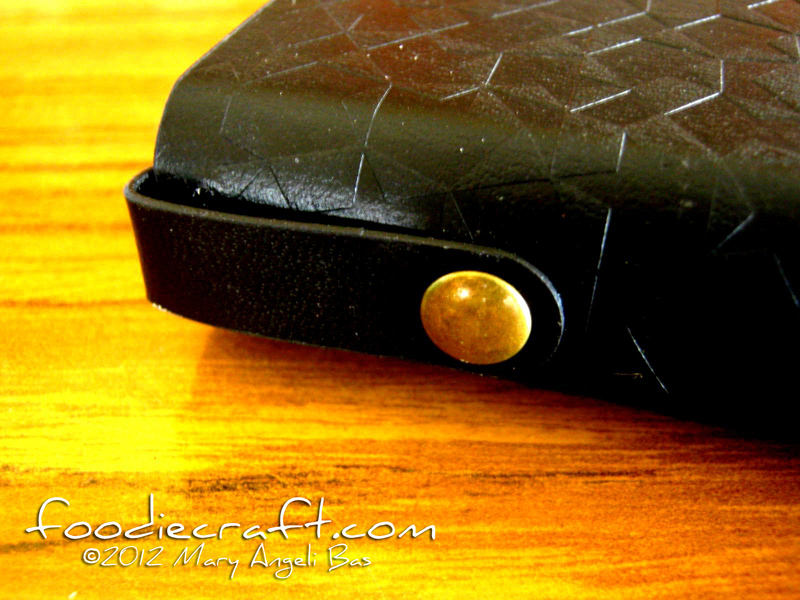 For this year, leather owns the limelight. The hardbound cover is embossed with star-like forms. 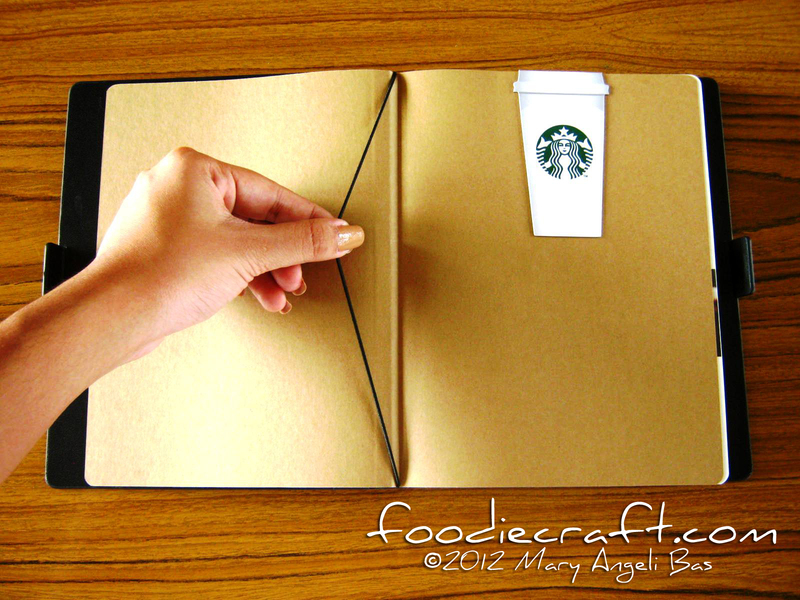 I commend Starbucks for putting a magnetic clip-on lock to the planner. 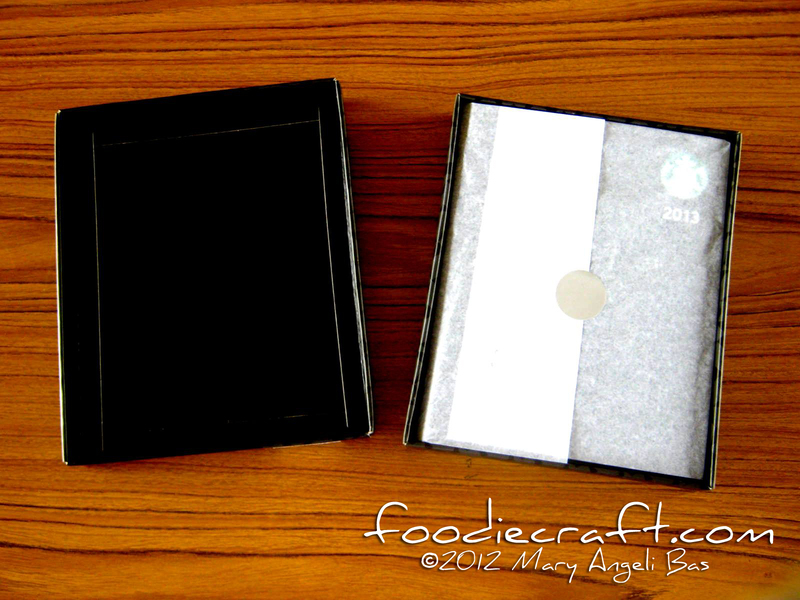 This part makes the Starbucks 2013 Planner fitting to busy people as it automatically closes when the front and back lock flaps are near to each other. This is something I find very new and clever in talks about coffee house planners. 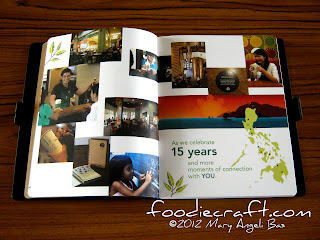 First page is made out of thin yet hard carton paper. 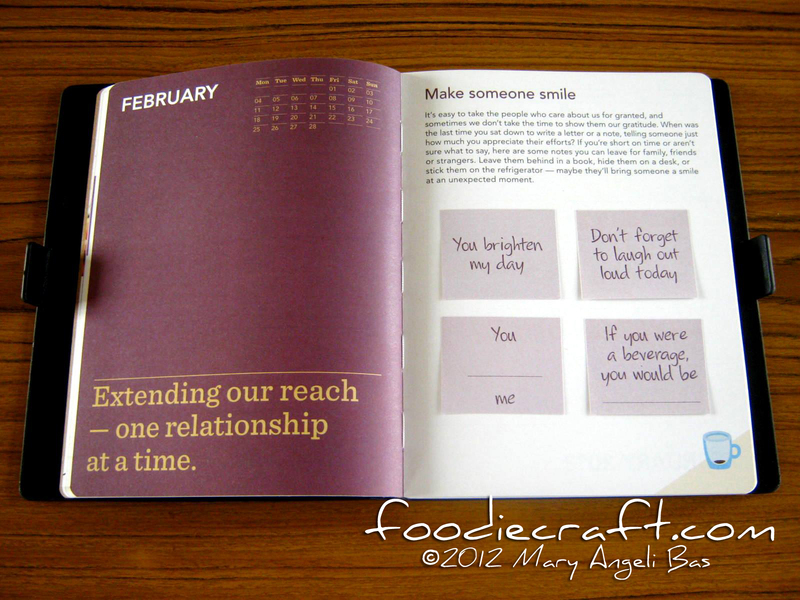 Second page surprises you a magnetic bookmark. 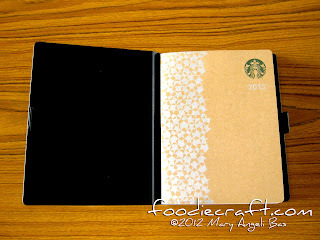 This is another new thing for Starbucks as for the past planners, bookmarks were always in forms of either ribbons or strings. 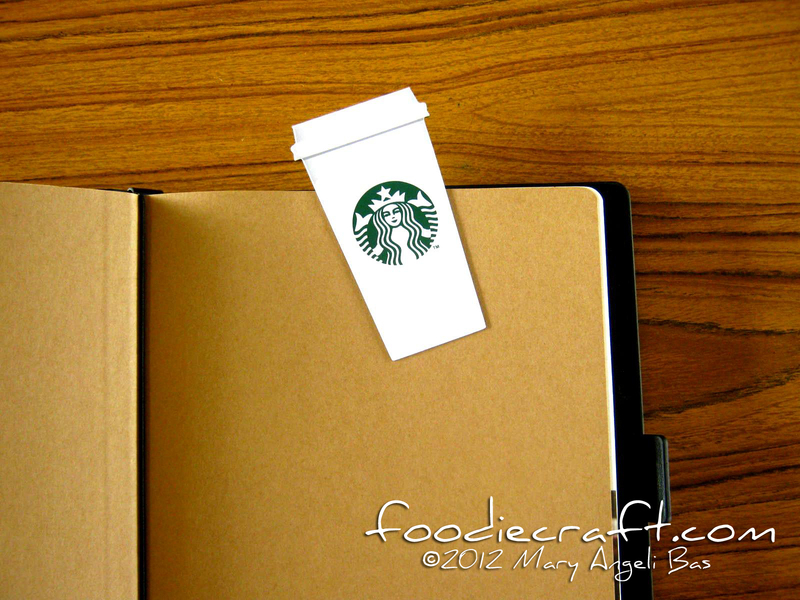 The bookmark mimics the look of Starbucks to-go cup. 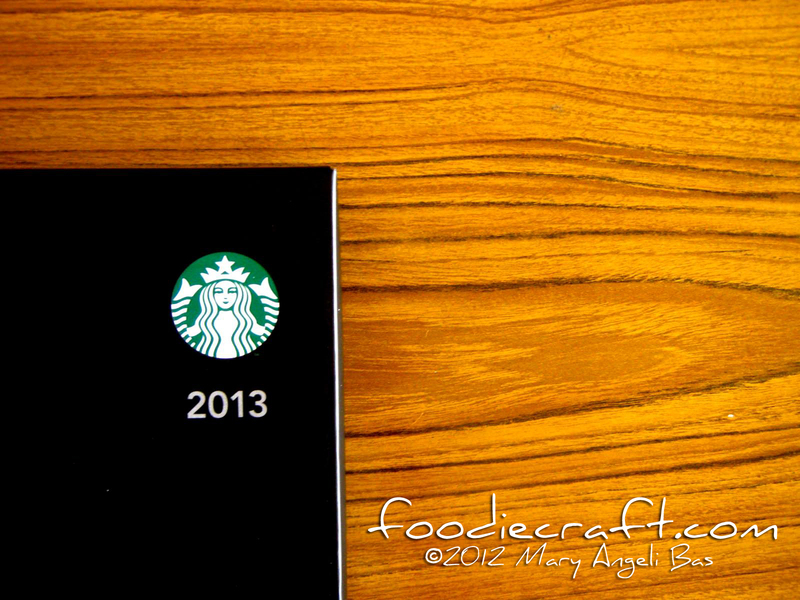 Surprisingly, Starbucks 2013 Planner is refillable. 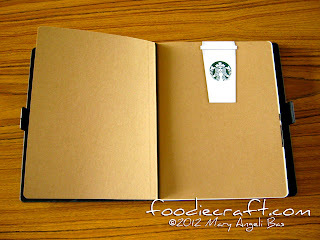 I believe this is the first. 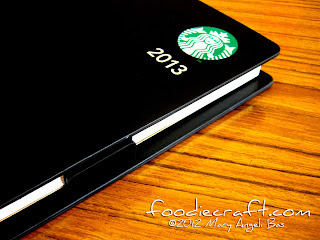 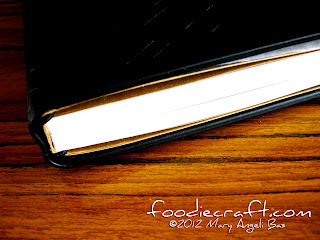 Unlike the old planners, the 2013 has incorporated the use of elastic string to hold the bound leaves. 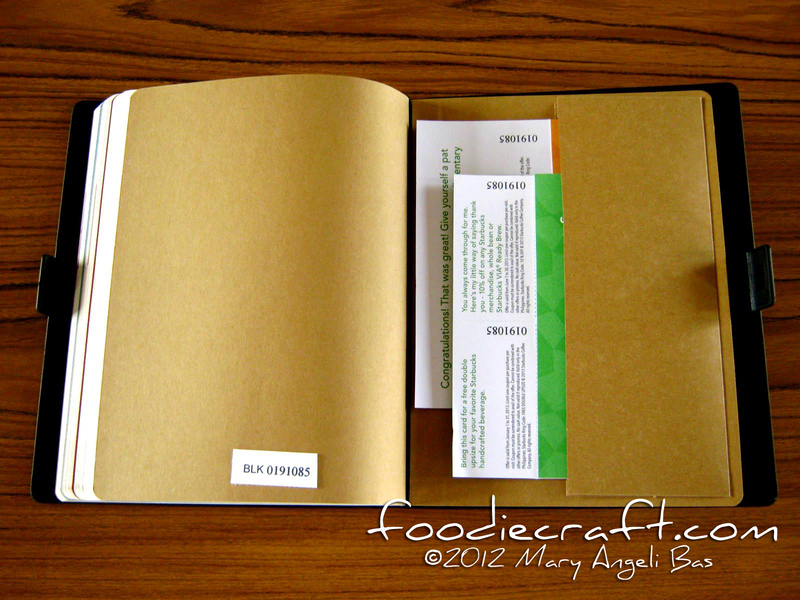 When all of the pages are used, you can gently pull out the front and back covers (thin carton) out of the string and add a new set of bound leaves. 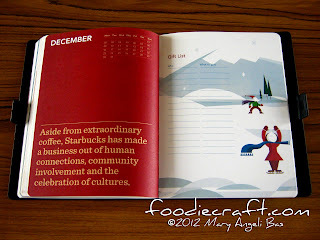 As always, Starbucks alots the first portion of its planner's pages with random information of the coffee company. Calendar of years 2013 and 2014. 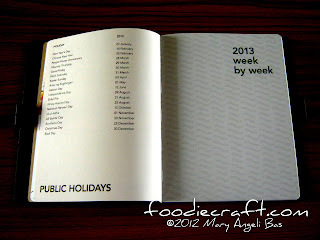 List of public holidays in the country. 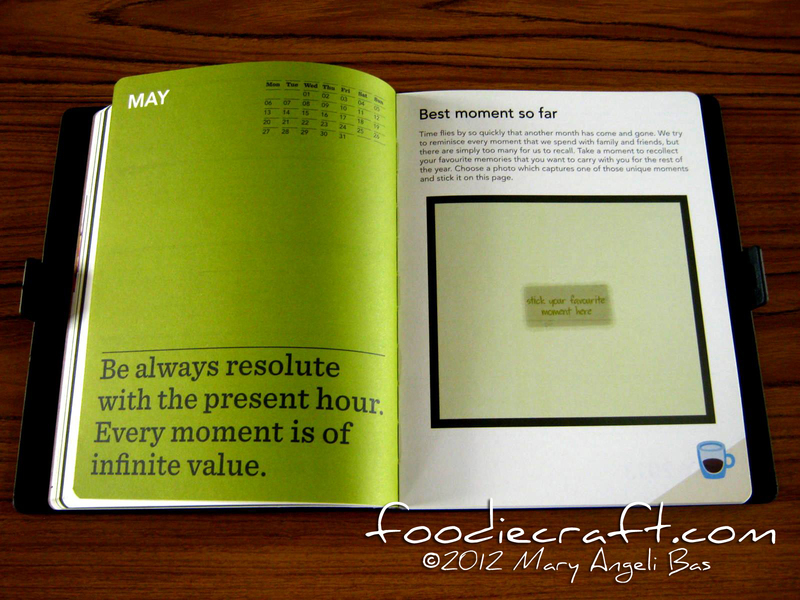 A month starts with a spread of varying colors and quotes, plus a mini calendar on the left page and either reflective activity or random facts of Starbucks on the right page. A bigger calendar with lines inside the boxes for your plotting of appointments. This is basically how the days of the week on the pages look like. The horizontal line divisions of days is similar to last year's. Random advices and suggestive acts are spread in some days in the planner. 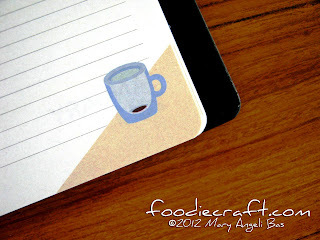 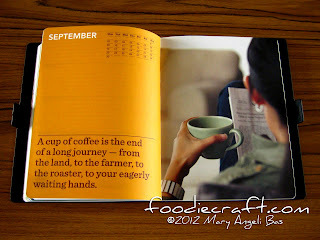 On the weekly pages of the planner, you will find a little mug at the lower right corner. It starts from empty (first pages of the planner) to full and smoking hot (last pages of the planner). 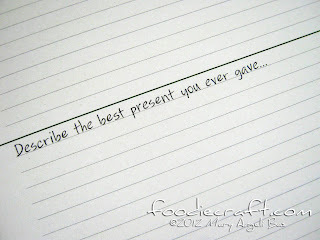 Fascinating, don't you think? 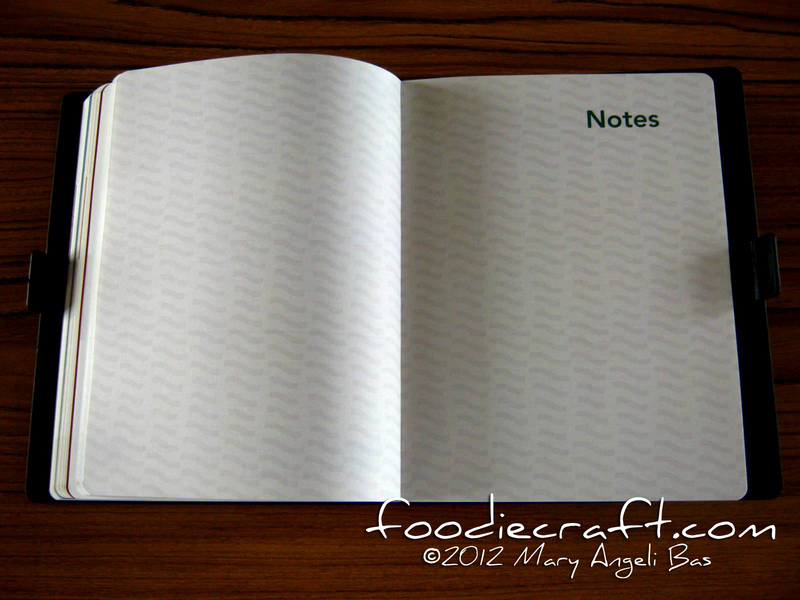 There are seven note pages for you to utilize. Discount coupons are slithered in a paper pocket connected to the thin carton paper, is what's on the last spread. Starbucks always end their planners with tokens. 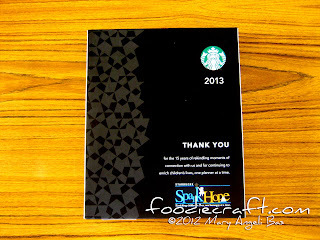 The 2013 planner coupon come in a very creative way. 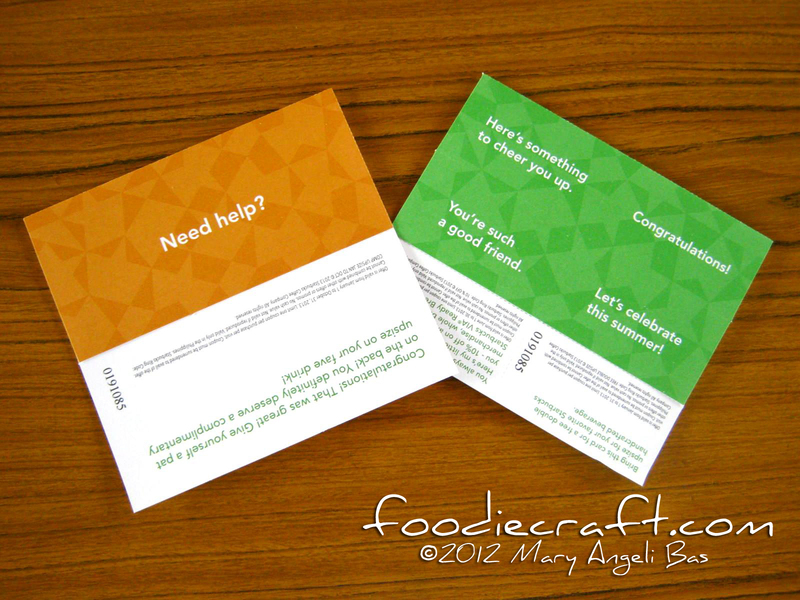 On one side, special greetings are printed and on the other side, a short friendly message and the coupon details are stated. 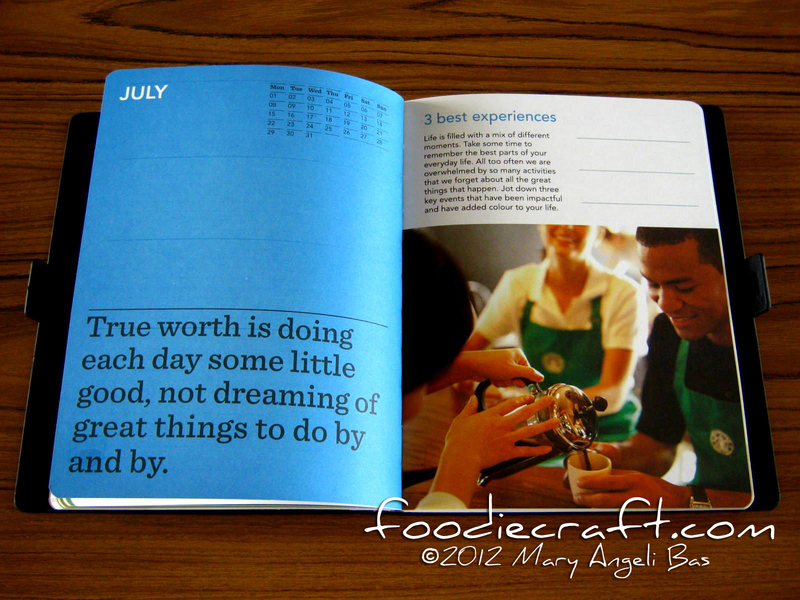 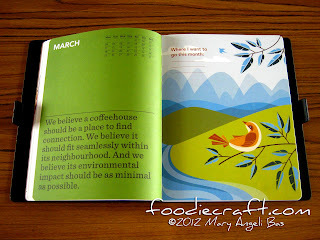 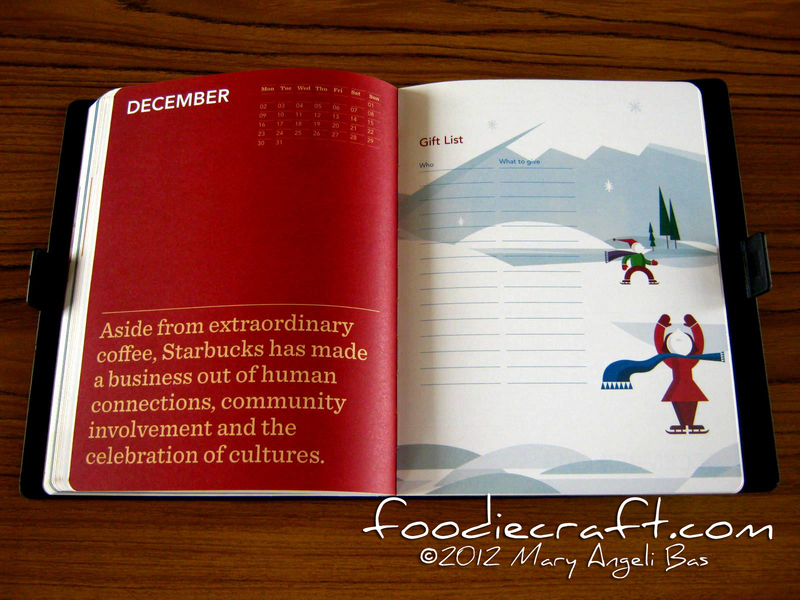 The Starbucks 2013 Planner has so many new portions an avid Starbucks Planner collector can find. 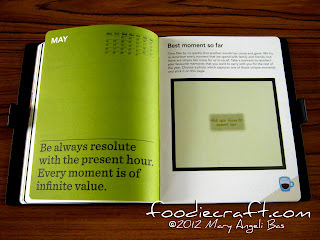 It does more than how it looks. 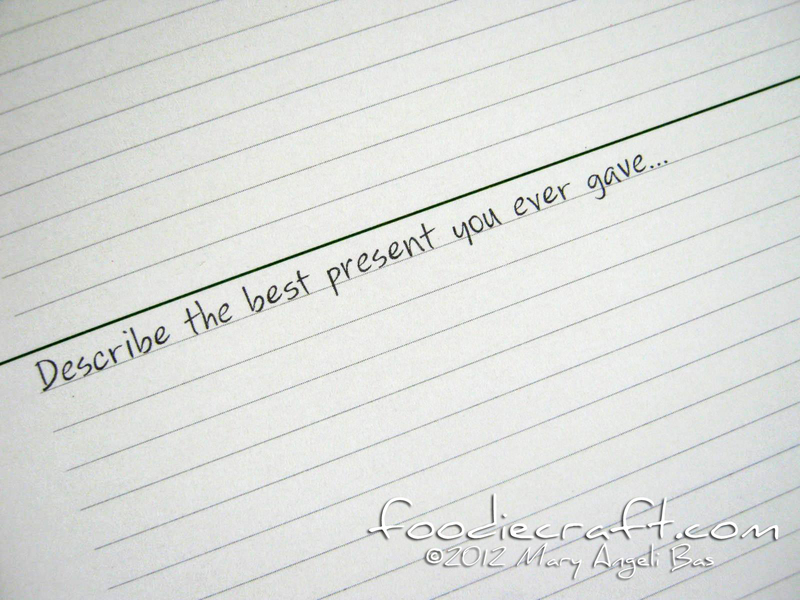 your post made me want that planner badly >.< they're sooo cute!